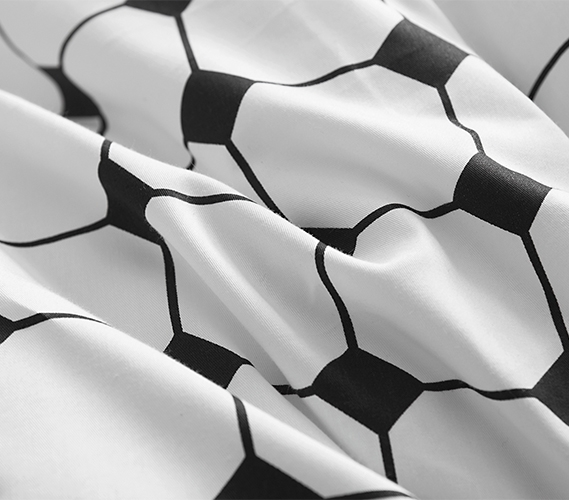 Looking for Moda - Black and White Comforter in Oversized Queen or King? 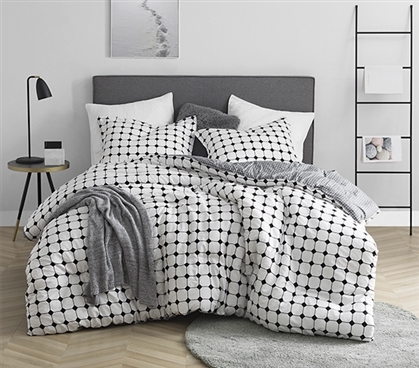 Black and white Twin XL bedding is a great way to blend in the look of your extra long Twin size bed with the rest of your college furniture and dorm decor. And when this black and white college bedding also has a fashionable design, the style of your dorm bed will have even more impact on the overall look of your dorm room. Our Moda - Black and White - Twin XL Comforter - 100% Cotton Bedding is a great example of a black and white college comforter that makes a huge statement with your college decor while still fitting in perfectly. Featuring a unique grid pattern across the front of this black and white Twin XL comforter and matching standard sham set, this designer dorm bedding will easily make your Twin extra long bed a huge part of your dorm room decor. But we wouldn't want you to enjoy the look of your stylish Twin XL bedding only to find out it isn't as comfy as you would like. Luckily, this black and white Twin XL oversize comforter is also made to keep you warm and cozy on your dorm bed. Each piece in this Twin XL bedding set is covered in soft to the touch cotton that will help to give you the most comfortable college bedding. This oversized Twin XL comforter is also made with a thick inner fill to keep you cozy. Every inch of this extra long Twin comforter is covered in comfort and style, making it an important part of your college supplies.